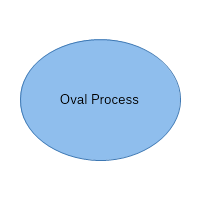 A DFD is used for graphical representation of a system’s data and how the processes transform this data. It shows how the data moves thought an information system without describing the program logic or the exact processing steps. DFD provides an overview of key functional components of the system but it doesn’t provide the detail on those components. 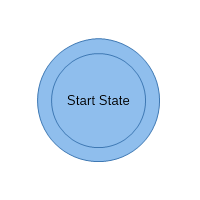 For this purpose Data Flow Diagrams make use of four basic symbols – External Entity; Process; Data Flow; and Data Store. 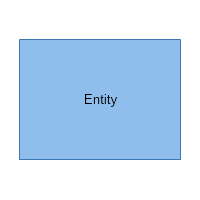 The External Entity in the DFD is any source that produce and receives data that flows between the entity and the system being analyzed. 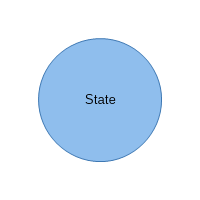 It can be a person, department, outside organization, or another system, or subsystem. 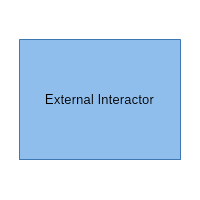 As the external entities are not part of the system being describes they are places on the edges of the Data Flow Diagram. An external entity can be duplicated on the diagram one or more times to avoid data flow line crossing. 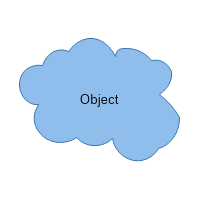 It is represented with a rectangle. 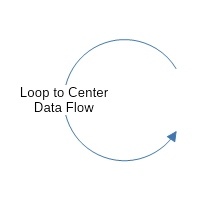 The process or function shape within the DF Diagrams marks a change or transformation of the data flow in the system. It performs an action on data, such as creates, modifies, stores, delete, and so on. It can be manual or supported by a computer. 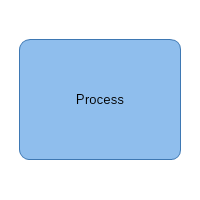 Unlike some other types of diagrams the Process shape within the Data Flow Diagram can be referred to as a black box, because it shows the inputs, outputs, and general functions of the process, but it doesn’t describes the underlying details and logic of the process being performed. 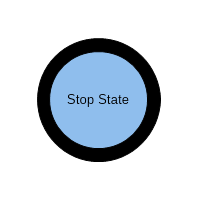 The Data flow shape in the Data Flow Diagrams represents the movement of information among the system. 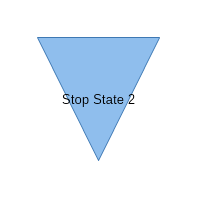 It shows the motion of data, as data can move between the different elements in the diagram. 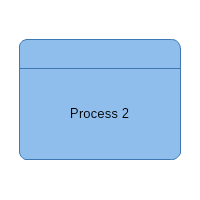 When the data enters the system it flows from place to place always through processes until it reaches its final destination either to a Data Source or to an External Entity. The flow lines represent the movement of the data and the arrowheads the direction of the flow. 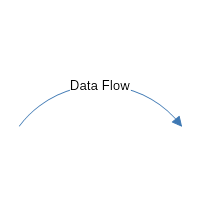 Each data flow include only one type of data and represents a single movement of information in only one direction, if the same type of information is returned then we use a new Data Flow symbol to represent it. The lines are labeled to provide clarity of the type of data moving among the system. 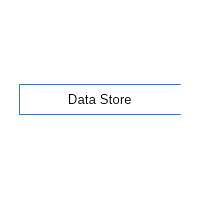 The Data Store symbol stands for data that is stored in the system. It doesn’t generate any action on its own, but simply holds the information for later access. A Data Store can consist of physically stored information, as paper files and folders, or electronically saved information in a database. 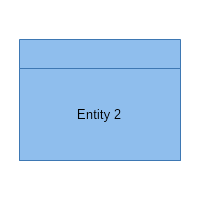 The data stores in the Data Flow Diagrams are illustrated either as a two parallel lines or a flat rectangle that is opened on the right side. 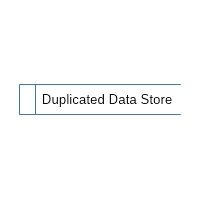 A data Store can be duplicated one or more times in the chart to avoid data flow line crossing in the system. 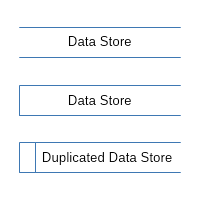 When a data store appears more than once in the diagram it’s usually drawn with an extra vertical line to show that it is not a new one. 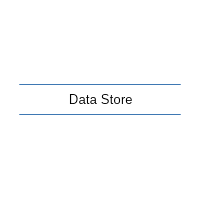 Incoming flows indicate data being stored in the Data Store and outgoing flows indicate an access to read information from the Store.